Don't Smoke — Smoking exposes your eyes to high levels of noxious chemicals and increases the risk for developing age-related macular degeneration (AMD) and cataracts. Eyestrain is a common occurrence in today's visually demanding world. A typical college schedule or office workday involves spending long hours reading, working at a desk, or staring at a computer. A poorly designed study or work environment, with elements such as improper lighting, uncomfortable seating, incorrect viewing angles and improper reading or working distances can add to the visual stress. As the day progresses, the eyes begin to fatigue and eyestrain and discomfort can develop. Using common sense can help protect the eyes at home. 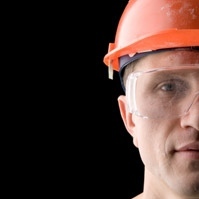 Following manufacturer's instructions and safety warnings will help prevent many household product-related eye injuries. Even on an overcast day, harmful ultraviolet (UV) rays can damage both the skin and the surface of the eye. Over time, unprotected exposure to the sun can increase the risk of certain types of cataracts and cancers of the eyelids. UV, as well as blue light, has the potential to damage the retina, the light-sensitive lining at the back of the eye, which could lead to significant loss of vision. UV damage is cumulative, so it's never too late to begin protecting your eyes from the sun's harmful rays.